Alcohol has been one of the most commonly abused drug in South Dakota with thousands of people suffering from ethanol dependence in the state. Recovery, however, is possible and residents can get the help needed by dialing these alcohol help hotlines. Delphi Health Group offers resources for alcohol abuse treatment at the alcohol hotline (866)-520-2708. Call now to speak to a representative any time of the day and year. Calls to the alcoholism hotline number are toll-free, and 100% confidential. Note also that services provided by the group are under insurance coverage. The South Dakota Division of Behavioral Health provides qualified treatment advice, recommendations, and referrals to alcohol treatment programs across the state. Call the alcohol abuse helpline 607-367-5236 to speak with a representative. Drug-Free South Dakota provides 24-hour free counseling on alcohol use and treatment and offers referral services to alcohol treatment programs across South Dakota. Call the toll-free alcohol helpline on 800-420-9064 to speak with an agent. The NCADD Hopeline offers nationwide treatment information and access to alcohol treatment services. Representatives connect callers to local alcohol treatment facilities and rehab centers. Call this national alcohol abuse hotline on 1-800-622-2255. 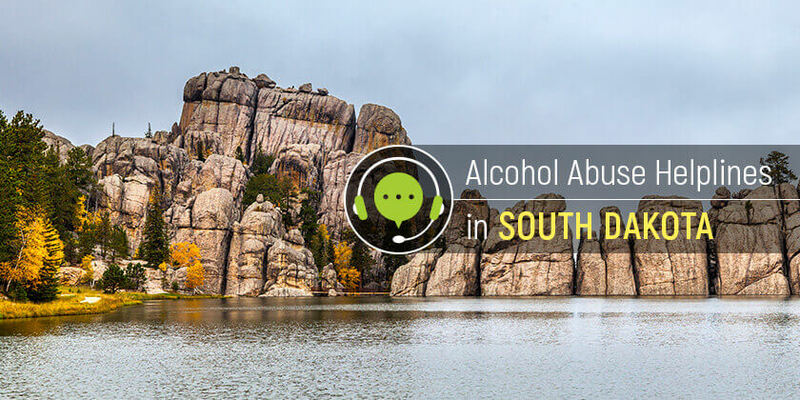 South Dakota residents can dial any of the alcoholism helplines above to begin the new abstinent life.